It’s no secret that films were immensely popular in the 1920s, with the growth growing rapidly each year. The coming of sound helped create some of the biggest films of the decade, but even before then, films were a popularity juggernaut that just kept on growing as the decade grew. That much has always been widely known. But thanks to online archives of the trade magazine Film Daily, there is another way of quantifying just how popular films were: the growth of movie theaters. The data supplied is for the first 11 months of the year 1926, and the results are staggering. 166 new theaters opened in 1926, across 23 states. Many states opened up a dozen or more: Massachusetts (20), California (18), Illinois (18), Wisconsin (15), Connecticut (13), New York (12). In September alone, 25 theaters opened up nationwide. An absurd amount of money was spent to construct and open more theater house across the country. In total, $86,353,898 was invested into new theaters. With inflation, that equals $1,142,154,839 today. Illinois alone led the country with putting over $21 million into new theaters. And that was just the start. At the time the stats were complied at the start of 1927, estimates were already in for 1927. Estimates indicated that the amount of money invested into new theaters would more than double– $199,652,500 (2,640,692,248 with inflation). It was estimated that 3.9% of all construction for 1927 would be movie theaters. It’s easy to understand why these theaters were being constructed so rapidly. The popularity of films were constantly on the rise as the years went on. And in the few years that followed, it must have paid off massively. All of these new theaters popped up shortly before the Jolson talkie The Singing Fool in 1928, which was a big enough smash hit to make an theater profitable. That broke practically every box office record upon release, and according to some anecdotes, it helped individual theaters out greatly. One theater in Buffalo drew 150,000 in one week, and a theater in Michigan drew more people for the film than actual residents in the town. Of course, this was not to last forever. The Great Depression hammered theaters, as it did every other part of the economy. And while the economy did eventually recover, audiences never packed theaters in the same numbers as they did in the 1920s. 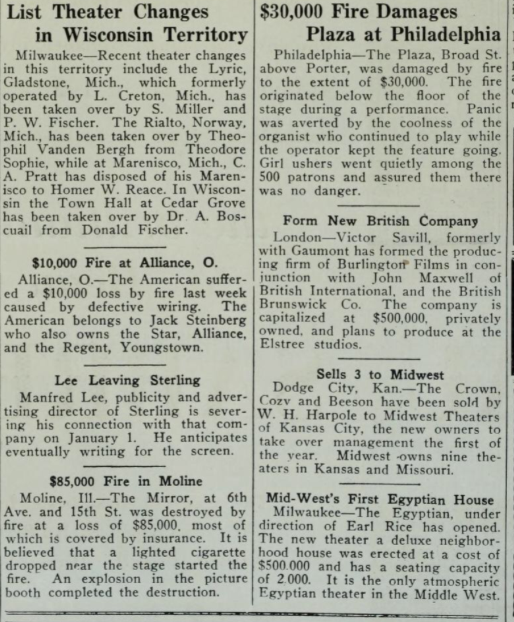 The pages of Film Daily are littered with stories of theater fires, sometimes multiple reports in one issue. 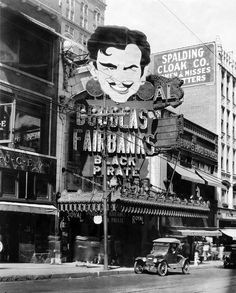 There are a few theater fires that are infamous due to how deadly they were, but dozens upon dozens of others long forgotten occurred in the 1910s and 1920s. Some of these fires can be attributed to the nitrate film stock, whose flammable nature also caused many films to be lost. Even if that wasn’t the cause of a fire, it certainly helped feed the flames. Theater fires were, rather unfortunately, a surprisingly common occurrence. And please, read that entire Philadelphia fire story. The image it paints could be a film itself. The early decades of Hollywood and film are filled with far too many tragedies: young deaths and careers cut short by scandals. We’ve talked about some of those names here before, stories of mysterious deaths and things gone wrong. Thelma Todd is yet another name that fits on that list. She also fits on another list: stars in early comedies that are sorely unremembered. Both leading actors and secondary actors alike, there are a wealth of early comic actors whose careers have faded. 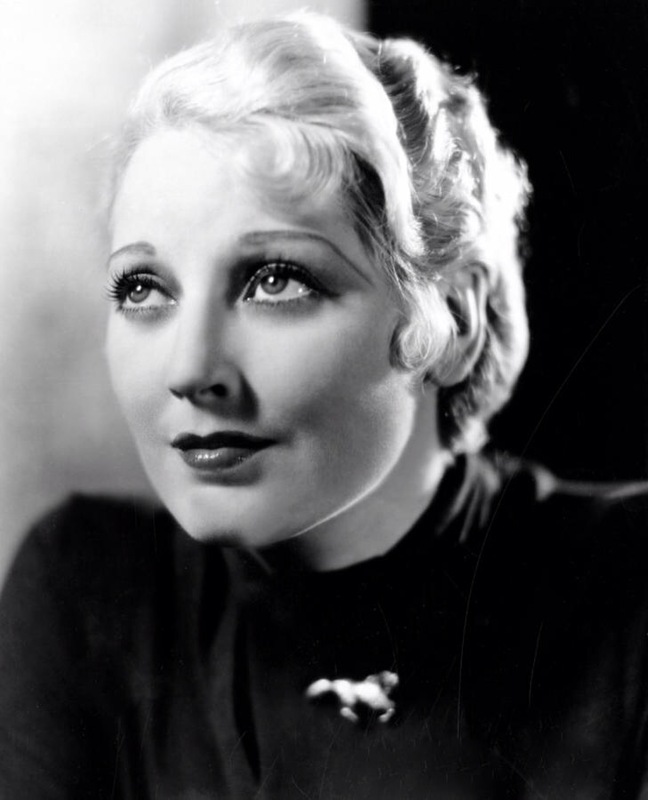 Thelma Todd is another one of those names as well. Although best known for her roles in comedy talkies, Todd’s career actually started in silent films. Some of her earliest roles weren’t even comedies, either. From the very beginning, she found herself working with big stars in dramas: Gary Cooper, William Powell, Richard Dix, among others. For those first few years, she moved around different genres in supporting roles. When 1929 hit, she not only found her niché, but had what could be considered a breakout year as well. She received her first starring role in the comedy/mystery film Seven Footprints to Satan. That wouldn’t even be her only comedy/mystery film that year alone, as the mixing of genres was popular for a brief period. And as a member of Hal Roach’s studio, she found herself working with the biggest names in comedy: Charley Chase, Harry Langdon and Laurel and Hardy. From there, the comedy roles just never stopped. She rarely starred on her own, but played the leading female many a time. As silents gave way to talkies, she remained regular foil to Charley Chase and Laurel and Hardy. She also starred opposite Harry Langdon a few more times, as he continued on the downswing of his career. Her few starring roles at this same time came as duo in shorts with other females: first with Zasu Pitts and then Patsy Kelly. Pitts herself had a remarkable career, as a star in silents like Greed before becoming a prolific character actress. But 1931 and 1932 were years of many highlights, far greater than her shorts. Todd appeared in the Marx Brothers’ Horse Feathers and Monkey Business, along with Buster Keaton’s Speak Easily. She also landed a rare dramatic starring role in Klondike, appeared in Clara Bow’s Call Her Savage and in a little film called The Maltese Falcon. It certainly looks like the she was just hitting the peak of her career at this point. But she never reached heights like 1931 and 1932 again. She spent the next couple of years making those shorts with Patsy Kelly and appearing in films that were not as a major as the ones the previous years. And by 1936, she would be dead. The circumstances of Thelma Todd’s death have always been shrouded by mystery, what led to her fate being a matter of controversy. The facts are as follows: She was found dead in her car, located in the garage of Jewel Carmen. Carmen was recently divorced from Roland West, director and business parter of Todd. It’s known that Todd was out at a party the night before. Evidence suggested that she died of carbon monoxide poisoning, which the coroner later ruled accidental. An apparent cut on her lip was the only physical evidence that seemed to suggest otherwise. But questions persisted. Was Roland West responsible for her death? Or, as some even suggested, was the mob involved? There are many reports that Roland West provided a solution through a deathbed confession. But most places don’t seem to even know where this piece of information came from. The Life and Death of Thelma Todd provides a different explanation of West confessing, not on his deathbed, but rather to police. The source of this information was allegedly Hal Roach, who heard from police that West admitted to locking her in the garage, not knowing it would kill her. As the story goes, West thought he was only teaching a lesson. Whatever was ultimately Thelma Todd’s fate, it should not overshadow what was a brilliant career by a woman who could be funny with everyone. 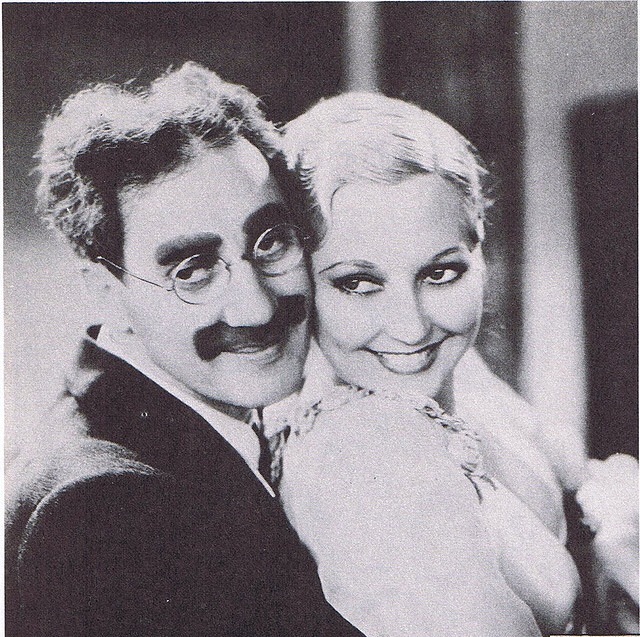 For a brief period of time, Thelma Todd was at the top of the comedy world, trading barbs and laughs with the funniest people in the world. And that is what really should be remembered. 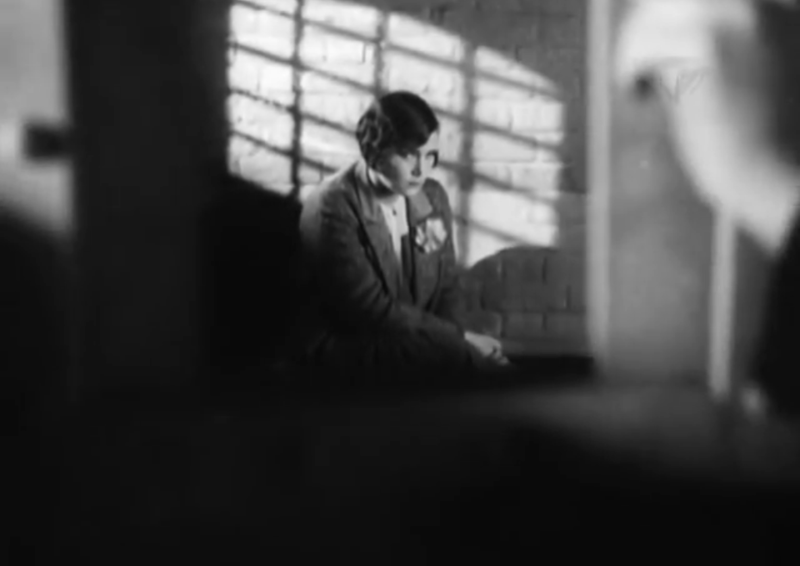 Thanks to two nights of silent comedy shorts, TCM will be featuring a lot of silent films this month. With so many shorts on two of the nights, just the stars will be listed for those films. It’s a wide array, covering many of the top funny people of the silent screen. 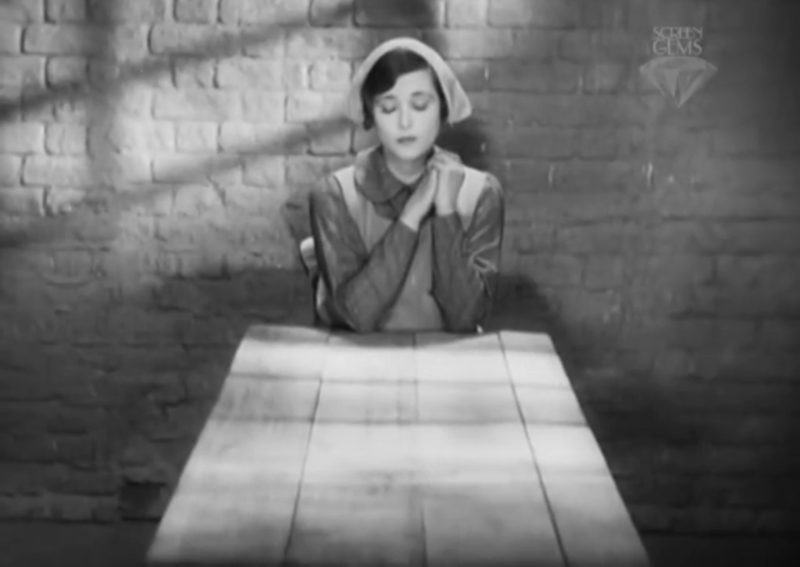 Miss Mend (1926) You may want to pack a lunch for this one. Originally created in three parts, this Soviet spy film runs around four hours long. Modern Times (1936): If you haven’t seen this one by now, it must be seen when it airs. Chaplin’s final silent film is not only perhaps his best, but one of the greatest films of all time. 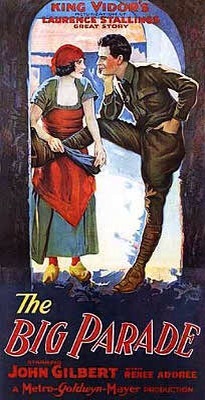 The Coward (1915) A Civil War film that helped launch the career of Charles Ray, it portrays the war from a different, more reluctant perspective. The Big Parade (1925) Another war film from a more realistic perspective, this film was a smash hit. And it’s easy to see why: John Gilbert and Renée Adorée star, while King Vidor directs. As we mentioned in the last post, there was once a trend to film movies multiple times in different languages. One of the more interesting instances, as noted previously, is Alfred Hitchcock’s Murder! 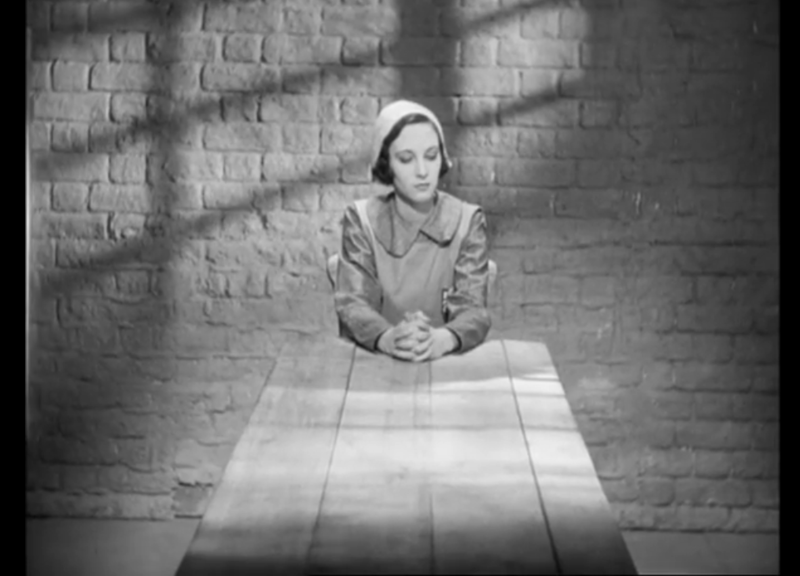 That film was made simultaneously with a German version, Mary, on the same sets with different actors. This instance is notable not just because both films are readily available, but because the German version runs significantly shorter than the English one. So what are the big differences that got lost in translation? We will get into those, but first, a review of Murder! 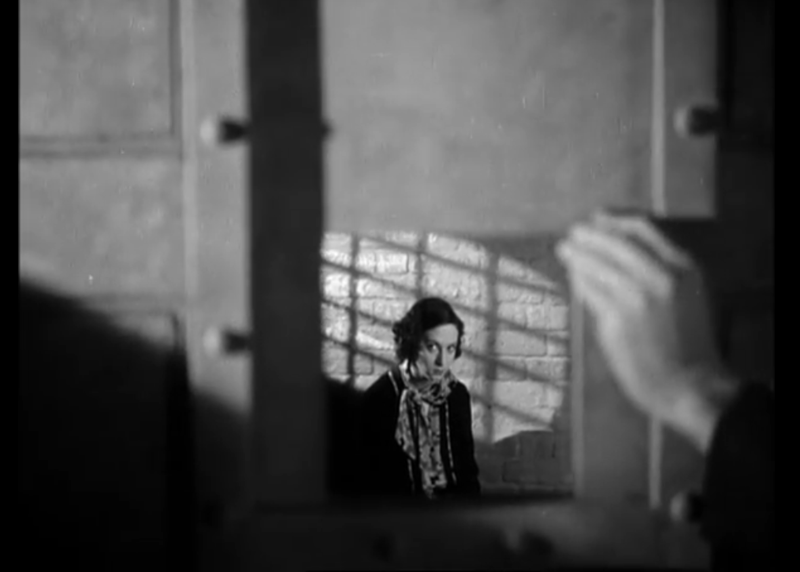 Despite the confines that early talkie sometimes brings, Murder! is filled with stark and striking images like the one above. In a rare instance for Hitchcock, the film is something of a straight up mystery. A woman is sentenced to death for a murder it seems obvious she committed, but one juror comes to believe he may have been wrong. But if she didn’t do it, can he prove it? Despite this serious subject matter, hitchcock peppers the film with even more humor than usual. A backwards couple who are crucial to the case are constantly running around, trying and failing to act more regal than they really are. Several other minor characters play comedic roles in their brief appearances, such as a meek juror who can offer no opinion of his own. He even uses the camera as the tool behind a gag involving two women constantly walking between rooms. It all culminates with not one but two suspenseful climax scenes. In classic Hitchcock fashion, the intensity is ratcheted up, leading to a scene that the makers of The Jinx could have very well been inspired by (but probably not). And the ending is a technical suspenseful achievement that you won’t soon forget. Murder! is both classic Hitchcock and at times unique to him. It’s certainly one of his better British films. As for the German version . 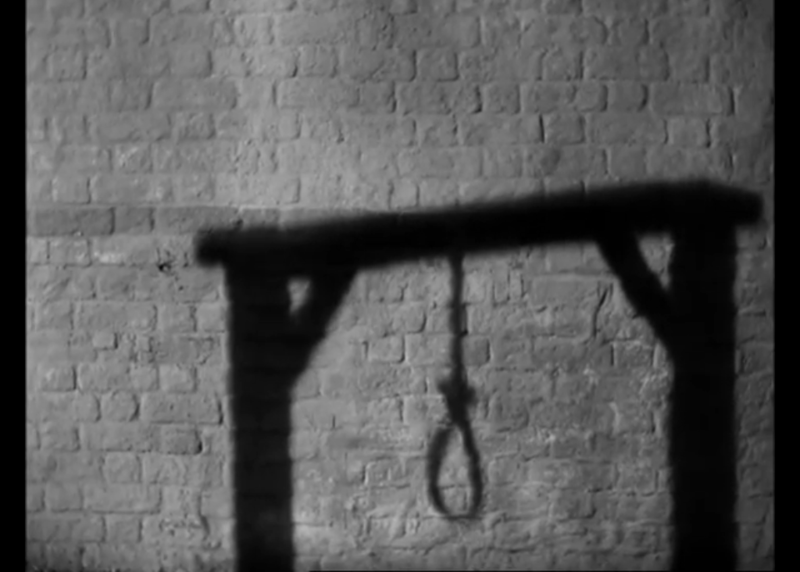 . .
And yet, the stark shadow of noose seen above is nowhere to be found. That’s far from the only thing missing. Most often, this version is truncated through eliminating comedic elements. The meek juror is eliminated, along with an extended scene involving the bumbling couple. Other times, the same scene is present, but it’s almost rushed through. The changing rooms gag with the camera is there, but only barely. Someone who struggles to get dressed in the English version has no problems in the German one. But the strangest omission is actual clues to solving the murder. One major breakthrough in the case, ultimately clueing into the solution, just isn’t present at all. It might make the mystery unsolvable for new viewers, such a strange thing to leave out. Hitchcock does still leave the fantastic climax mostly intact, though. Mary is worth watching only for completists. While a curiosity to see, it only really presents an incomplete version of a better film. As the omitted scenes kept piling up, it just gave the impression that this was a rushed through version made out of obligation. Maybe it was. What we do know for sure, though, is that Mary serves as proof that shooting films multiple times in different languages just wasn’t good practice.